You can heal. We can help. Up and Up provides evidence based natural therapies that work. 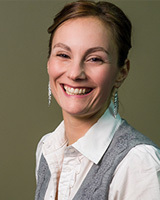 Dr. Amy de Oliveira, ND, is a licensed Naturopathic Doctor who is dedicated to helping you (and the people you love) transition into better health and living so you can experience life in true wellness and maximize your personal potential. She takes an in-depth, no-nonsense approach to Digestion, Hormonal Balance, Pediatric care, Pregnancy, Stress resiliency, Vitality, Weight loss and Women’s Health. 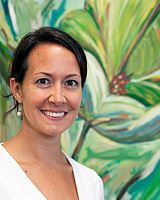 Dr. Amy believes in personalized health via customized medicine using a naturopathic and total mind-body approach. 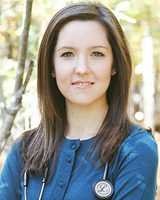 I am a licensed and board certified Naturopathic Doctor working out of Newmarket. I believe in individualized health care and addressing the route cause of symptoms rather than just the symptoms themselves. I practice eclectically and like to use all modalities, but tend to focus on the mind-body connection and help people change their detrimental mind sets and thoughts. Also, I am a Reiki practitioner and have have special training in Energetic Alignment and Aruyvedic Medicne. 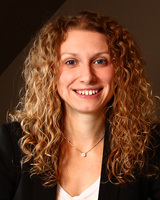 Dr. Emily Lipinski strongly believes in addressing the root cause of a medical issue using natural therapies alone or in conjunction with conventional medicine. My twin focuses are family practice and integrative cancer care. Currently I’m training under the very knowledgeable and talented Dr. Neil McKinney, ND. I’m a true islander at heart. I grew up on Salt Spring Island, lived in New Zealand, and loved visiting Haida Gwaii and the Hawaiian islands. I keep my clinic appointments on time, but besides that I run on island time. Over the last 13 years, Dr. Arvin Jenab has been practicing, teaching, and lecturing in Toronto, Ontario. 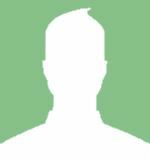 He recently moved to the North Shore in Vancouver with his wife Dr. Afrouz Demehri and their children to be closer to family and friends. For 7 years, Dr. Jenab held a position as faculty and clinic supervisor at the Canadian College of Naturopathic Medicine in Toronto, Ontario. There he worked closely with students and colleagues, dedicating his efforts to the general advancement of knowledge and wisdom as it pertains to the art and practice of naturopathic medicine. He lectured regularly on advanced topics in naturopathic and integrative medicine, supervised students during their final clinical years, and established community-based clinics that continue to offer a high standard of care that is patient-centered, integrative, and holistic. My focus includes: Dermatitis (eczema, psoriasis), Headaches (migraine, cluster), Women’s Health (infertility, cysts, fibroids, menopause, PMS, PCOS), Weight-loss (hypothyroidism, diabetes, stress, high cholesterol), and Mood Disorders (anxiety, depression, insomnia). 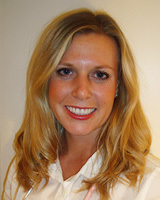 Alanna Dyment, ND is a licensed naturopathic doctor in Ontario. She attended Brock University in St. Catharines, Ontario for 4 years and attained a Bachelor of Science (Neuroscience), Honours. She then attended the Southwest College of Naturopathic Medicine (SCNM) in Arizona to begin her training as an ND. This school was chosen based on many factors. The state of Arizona has the widest scope of practice for naturopaths. Alanna was able to attain training as a Naturopathic Medical Doctor and learn in detail how to prescribe drugs and perform minor surgery, which are within a Naturopaths scope in Arizona. Although she cannot practise either of those things in Ontario, this training provided Dr. Dyment with strong knowledge in these areas which may benefit her patients. Dr. Dyment also chose SCNM based on its excellent homeopathic program. The homeopathy department at SCNM focuses on the teachings of Samuel Hanhemann, the founder of homeopathy. His teachings are the oldest and most reliable form of homeopathy available today. After this additional 4 years of education and living in the sunny south, Dr. Dyment returned to her home in Canada and set up her practice in the lovely village of Manotick, Ontario. 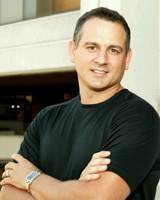 Professionally, Dr. Dyment is a member of the OAND and the National Center for Homeopathy. 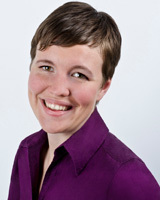 I am an naturopathic doctor who focusses on total wellness and getting to the root cause of illness. I offer Bowen bodywork therapy as well as nutrition and lifestyle counseling, acupuncture and homeopathy to treat the whole patient. I love what I do, I have a passion for helping people heal and I learn everyday through my patients, colleagues and loved ones.